The Zotero team is making solid progress on a variety of collaborative features. But, if you want to publish and share items today, you might be interested in Zotz. 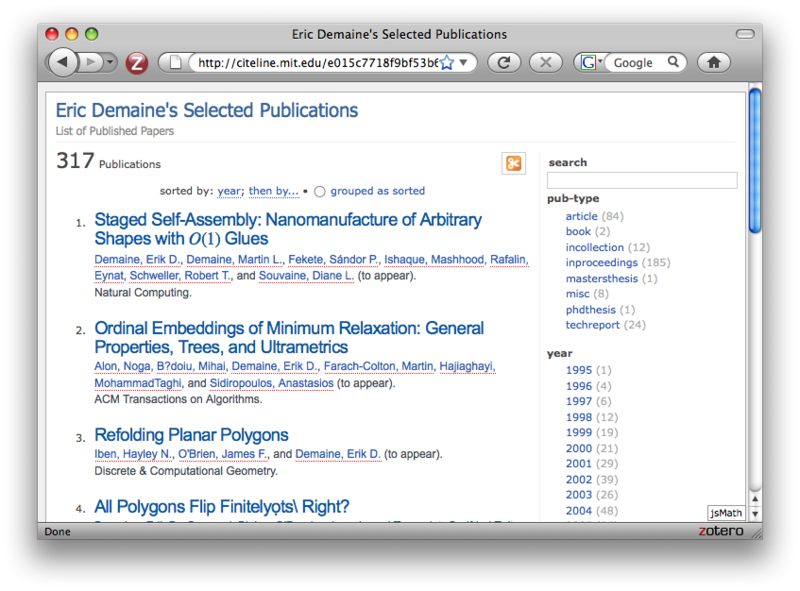 The Zotz plugin allows you to publish Zotero collections through MIT’s Citeline project. If you want to see this feature in action, just watch this screencast. You are currently browsing the Zotero weblog archives for January, 2009.